I may still be in Irish mode from St. Patricks day Yesterday. I didn't even celebrate it this year, but I did enjoy the Irish music being played on the radio! I may or may not have had my own dance party on the way into work in my mom van! We're taking the kids to see the Easter Bunny this weekend and I'm hoping it is more successful than that time we tried to get Santa Pictures three times and failed. You can read all about that here. Today, I wanted to write a Friday Favourites because I haven't in a while and I've been sort of obsessing over doors. If you follow me on Instagram you probably already know that we moved a few months back, into an older home that needs some love. So far we have done some plumbing, updated our fireplace with some fresh paint and changed out some hardware. When we looked at the house one of the things I loved right away was the front door. After moving in though, we realized, the previous owner basically took the old front door, painted it black and added a decorative glass insert. That's all fine and good, but when they installed the door back on they installed it all wrong and there is a huge gap between the door and the trim that weatherstripping can't even fix. One winter day, we had a snow storm in our front entry way because of this. Anyways, more on that in another post, but basically I've been begging my husband to update the doors in our house as our first big project. 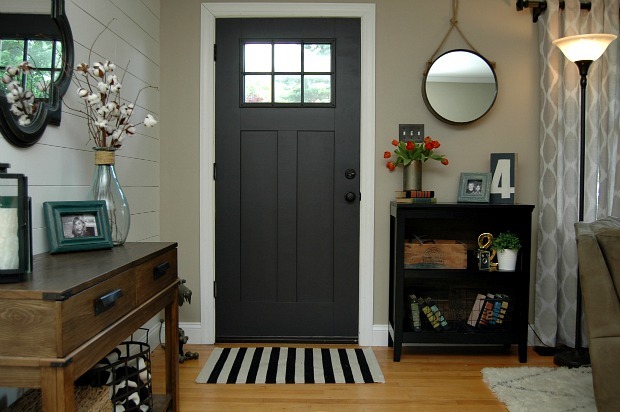 I wanted a more classic front door, and our sliding doors in our living room are 25 years old and its time for a change! Last week my husband ordered a new front door, patio doors and mudroom door and I can't wait to share those with you when they arrive. I'll leave you with some door Inspiration I've found on Pinterest. 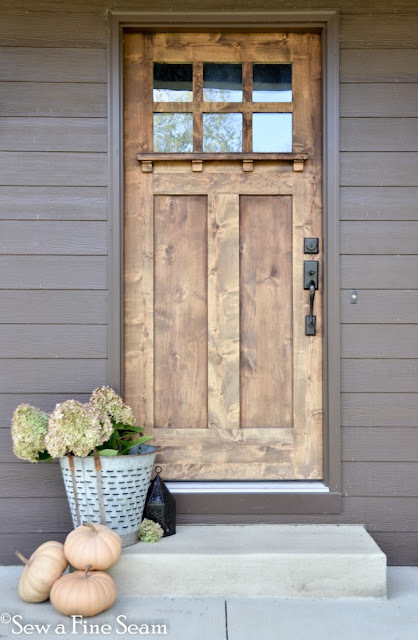 I'd love you to share your favourite door styles with me in the comments below, find me on Facebook, or chat with me on Instagram. 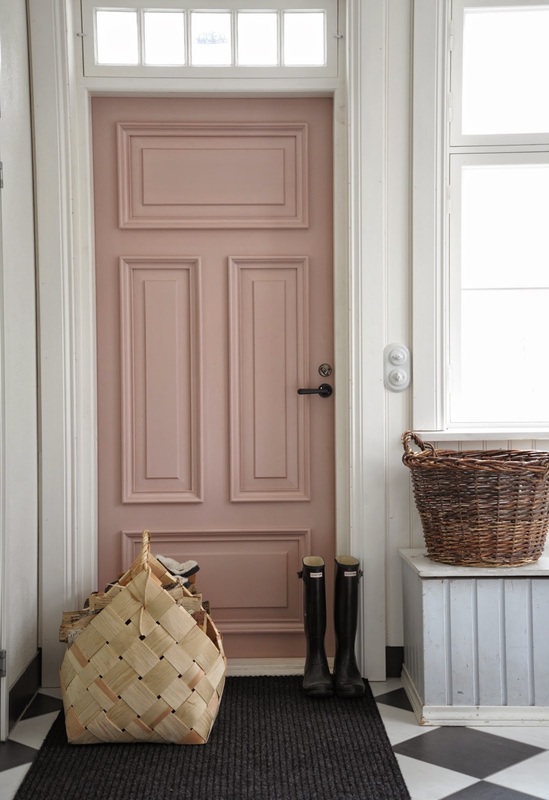 I'm not a huge pink girl--but that pink door looks awesome! I LOVE those! 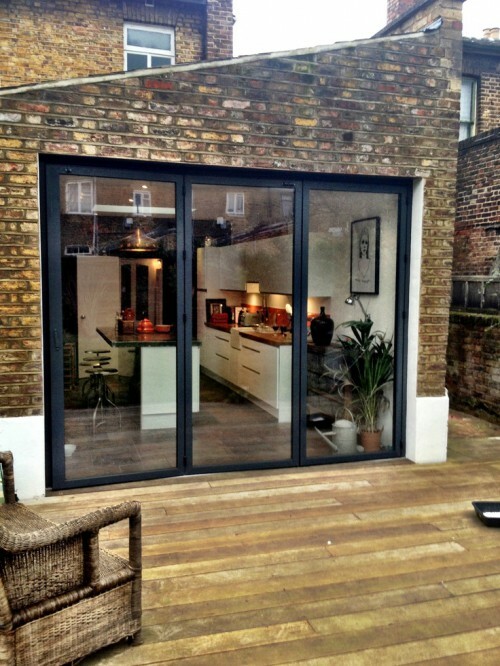 I'm a bit door obsessed myself. Great picks! 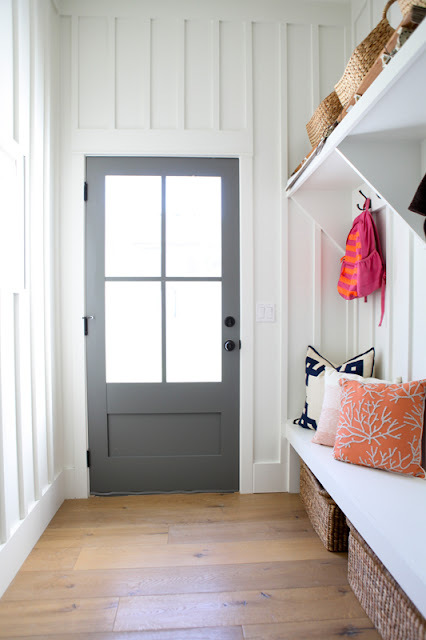 Doors can be so beautiful and are so important to a home!! haha right?! Did the same to me.